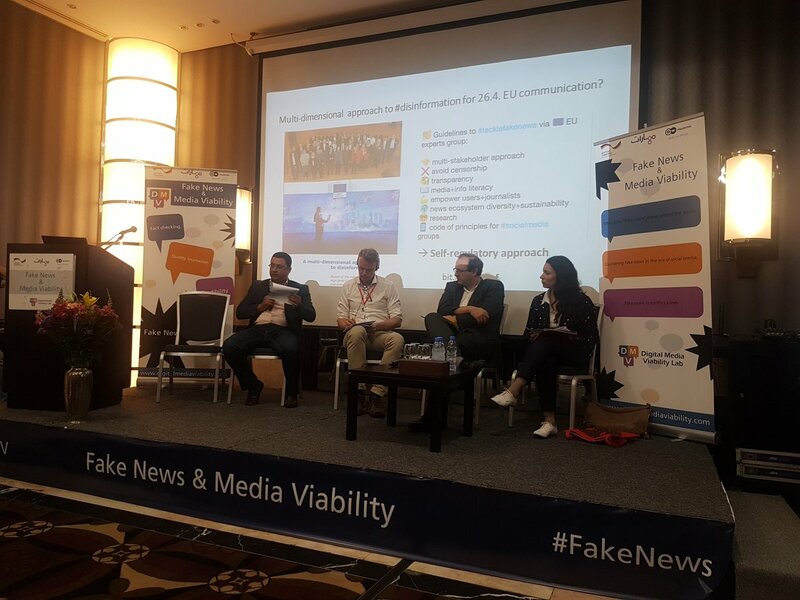 Within the “Fake News and Media Viability” conference that is being held today in Beirut, organized by Maharat Foundation and Deutsche Welle Akademie, a session was held that about the issue of laws and legislations aiming at answering two main questions: are laws and legislations the best solutions for fighting disinformation? And what are the risks on freedom of expression in case of governmental interference? Saloua Ghazouani Oueslati, the MENA director of Article 19 in Tunisia talked about the governmental control on sources of information and legislations at the same time. She emphasized the importance of freedom of expression as a priority in our region, saying that counting on legislations to limit fake news will endanger freedom of expression and won’t be efficient in limiting disinformation.